It’s no secret that all around the world just about every major industry is experiencing an evolution through emerging technology, adapting to the world of digital and discovering new ways to service their customers. This couldn’t ring more true than for the automotive industry. The disruptions felt across the sector have been experienced not just in the business to business arena but also in our everyday lives, with corporations such as Uber and other rideshare apps quickly utilising technology as the driving force behind their explosive growth. 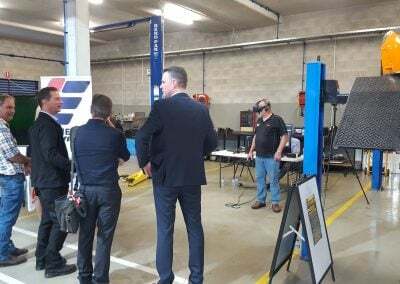 Multiple industry innovations were put forward in a one day symposium known as “Carmageddon II – Leading The Way”, hosted by the Motor Trades Association of Queensland. The event was held on the 12th of July 2017 with several keynote presentations addressing viable business solutions in an industry that is ripe with disruptions. What kind of innovations should we be expecting just five, ten or fifteen years from now? 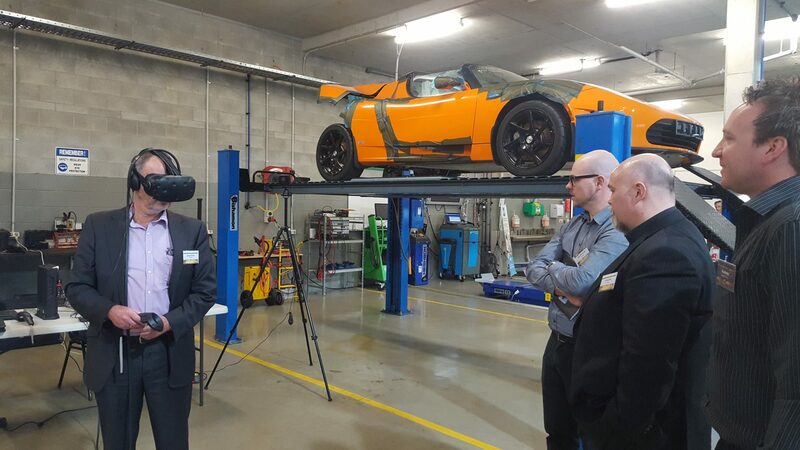 Six speakers took the opportunity to present where they feel the automotive industry was heading and how technology can be used to leave a positive, lasting impact on the automotive industry, while also competing against the strong competition in the industry. With each keynote, the focus shifted from the various technologies currently making an impact on the automotive sector to the ever changing needs of the consumers within the industry. 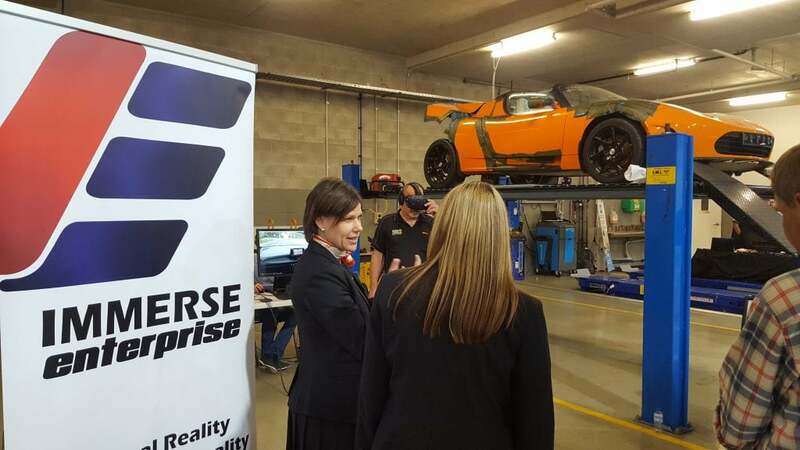 As one of the six keynote speakers, Head Educator and Imagineer of Immerse Academy (our sister company focused on providing education on immersive technologies), Lex Van Cooten took to the floor to discuss “The Scope of Virtual Reality in Business”. For a medium that is often associated with entertainment, the presentation was eye opening for those in the room who might be unfamiliar with the business applications of the technology. The talk began with an introduction to 360 degree videos and the range of cameras available that capture immersive content, moving over virtual reality and the differences between current commercial headsets. Providing clear distinctions between tethered headsets, those that rely on computing power and mobile headsets, and those that can be easily adapted with just a smartphone, we covered where the technology is today with strengths and weaknesses. Before discussing the potential applications of the technology moving into the future, Lex touched on previous experiences we have created on behalf of clients in the automotive industry. First experience mentioned was the Hyundai i30 Virtual Showroom, completed early in 2017. Created as a means of showcasing how car dealerships could be virtualized in a 3D, computer generated space rather than physical real estate. 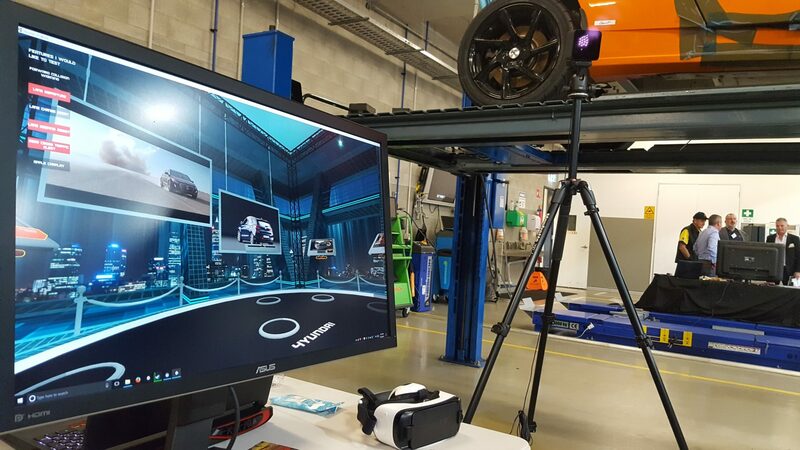 This showroom of the future was designed to showcase the new i30 utilising 360 degree video virtual test drives, all within a digital virtual showroom which provides interactive learning panels that detail the latest features of the new vehicle. 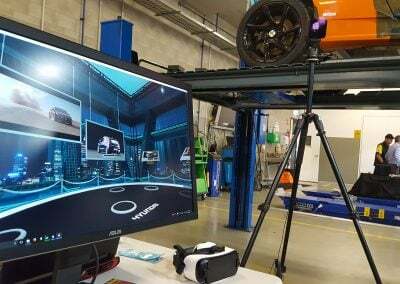 Lex discussed the benefits of having a virtual showroom over a physical location referring to our every increasing busy lifestyles, location constraints and how in the future we could be purchasing a new car with just a few clicks of a button following a virtual test drive. 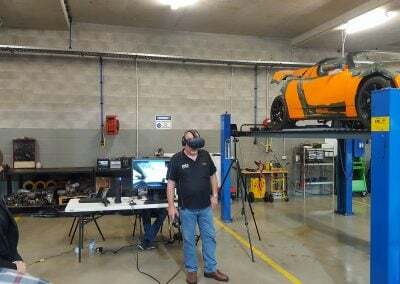 The purpose of the 360 video footage was to immerse the viewer in a virtual test drive in which they could be seated in passenger seat of the i30 while the driver went over the specifics of the vehicle. 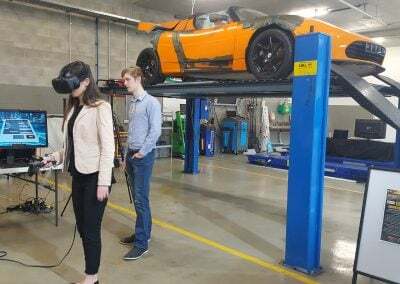 Through this experience the viewer is able to get an idea of the vehicle without having to physically make their way to the lot and grab the attention of the salesperson to take a test drive. In the current sales experience, customers have been found to experience purchasing pressure, specifically after having gone through with a real world test drive and having the salesperson spend dedicated time with them. The customer can feel pressured to make a purchase even if the car is not right for them. The showroom of the future is a personal experience the customer can enjoy in the comfort of their own home, entirely under their control. 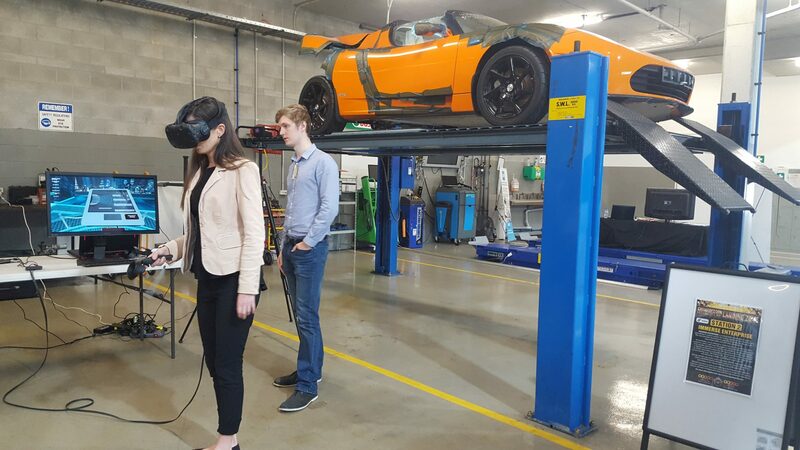 However before virtual reality makes in into customer homes, we believe that more car manufacturers will utilise the technology in shopping malls in order to reach potential customers on their way to buying groceries, while also cutting the cost of maintaining and marketing large, physical car yards. That isn’t to say that these kinds of experiences wouldn’t be extremely useful for the salespeople back at the dealership. User data can be recorded based on the customers interaction with the showroom which can be then used for feedback on the vehicle itself ultimately creating a better customer experience and more user centered design. 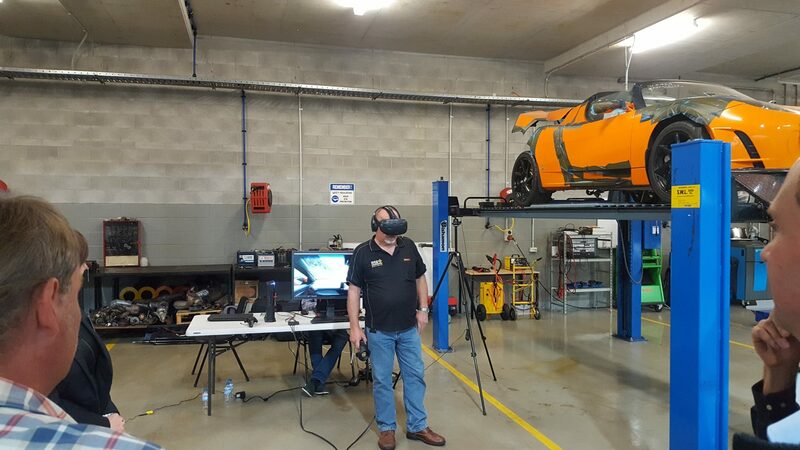 The virtual reality applications of the automotive industry don’t stop at sales either, there is a wide range of immersive and interactive experiences that will be instrumental in the continuing growth and innovation of the sector. 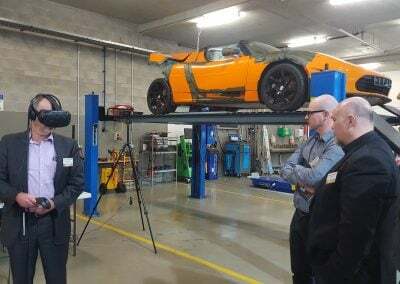 Lex gave a brief mention to examples ranging from car customisation, driving simulations, 3D design and even prototyping which are all becoming more frequently adopted by automotive companies. 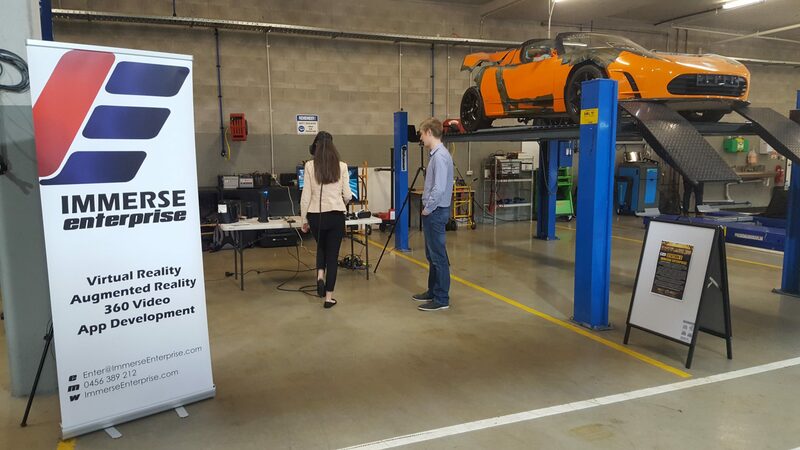 The event was an exciting opportunity to not only bring greater awareness to technologies role in the industry but also to build connections that will help those in the industry take advantage of the growing wave of innovation currently gripping the world. 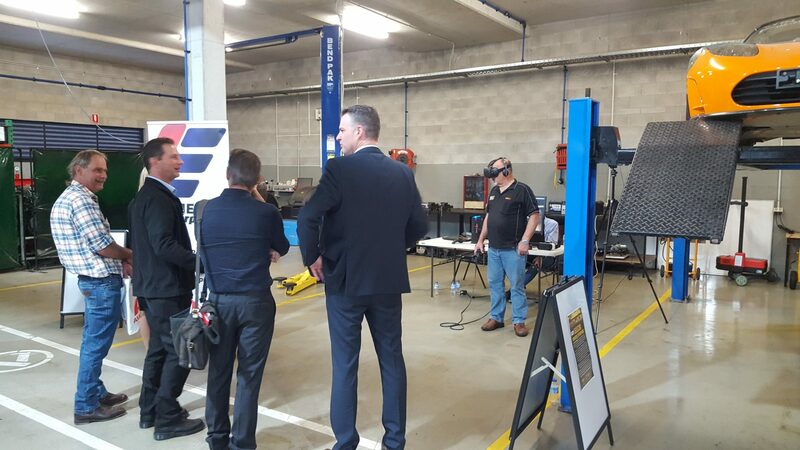 Carmageddon II – Leading the Way was an absolute must for any car lover who is future focused and seeking solutions for their business to capitalise on technology and we look forward to providing more solutions in this industry.